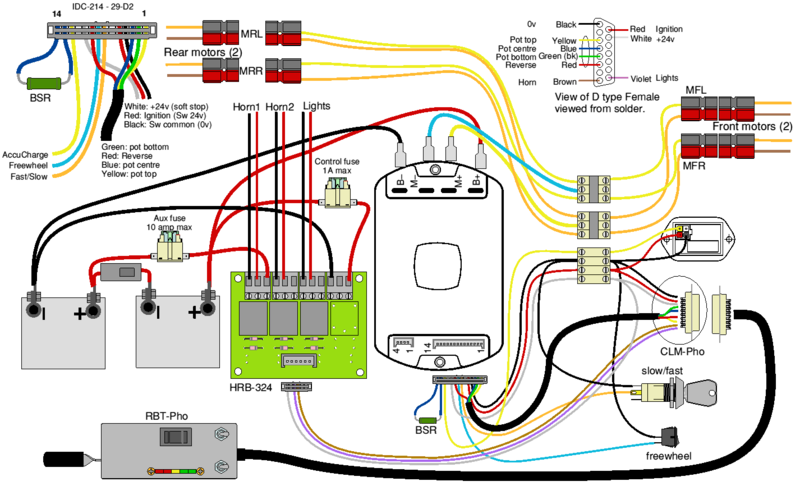 4QD supplied the complete wiring for Phoenix locos and the wiring of the loco is shown here for the convenience of Phoenix customers. This equipment was supplied only through Phoenix and enquiries about the locos or their wiring should be addressed to Phoenix, not 4QD. Note: In early 2008, Penny and Giles discontinued production of the controller used here, so this page is now for historical information only. 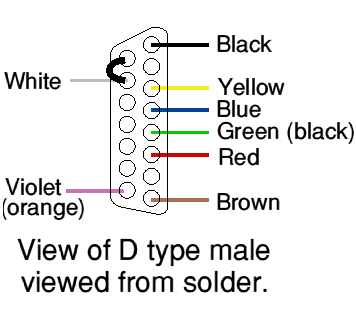 The wiring of the mating 15 wad D type male plug is as below. Note the link on the white wire, which makes the ignition when the hand control is plugged in. This is a version of our standard hand control.